Cinda Williams Chima is a rare breed among an ever widening genre of fantasy authors. Unfortunately, the growing popularity doesn't always mean a vast array of fantastic books to choose from. Not the case with Cinda Chima. Though she may not be as well know as other authors in the genre, Cinda has carved out a nice little niche for herself as one of the rare few whose books get better and better each time she publishes a new one. If you read fantasy books, Cinda Chima is not an author you want to miss. Her writing style is fast paced and exciting, her stories are intriguing and well balanced and her characters are unique and unforgettable. Cinda began writing at an early age, having honed a love of literature by the time she reached middle school. She started out writing romance novels which were oftentimes confiscated by her teachers, but she has since expanded her horizons into the ever popular genre of young adult contemporary fantasy. Chima has certainly earned her best-selling author status, having produced more than a few fantastic young adult novels to date including multiple installments in two different series: The Heir Chronicles and the Seven Realms series, both of which are currently ongoing. 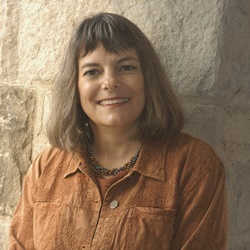 In addition, she has received numerous accolades for her work including Best Science Fiction, Fantasy and Horror, as well as having been awarded the 2008 Lit Award for Fiction. 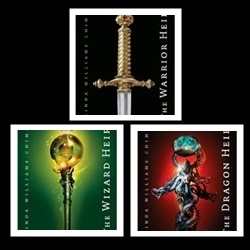 The Heir Chronicles features three currently published books- The Warrior Heir, The Wizard Heir and the Dragon Heir with two more books forthcoming, and the The Seven Realms series, which debuted with The Demon King, now includes two more books and another soon to be released. With more books on the horizon, Cinda is sure to become a household name. As yet, we haven't found a single book she's written that we didn't thoroughly enjoy reading. She's one of those authors that appeals to the masses, no matter your age or reading preference, and she's one of our top recommended authors for anyone who enjoys a downright enthralling story. J.K. Rowling is the insanely popular author of the Harry Potter series. Her books are recommended for anyone who enjoys magic, adventure and well written characters who practically jump off the pages.